Environmentalists have long praised the benefits of insect consumption as a green alternative to traditional western animal proteins, and after years of resistance, increased cultural diversity and trendy food companies have finally started to remove the stigma from eating bugs. A few months ago, the Seattle Mariners catered to both foodies and a large hispanic fanbase by selling fried grasshoppers at the ballpark, and a quick Google search shows a number of highbrow insect-friendly restaurants–mostly rooted in Mexican cuisine–popping up on the NYC culinary landscape over the last five years. Two Harvard roommates came up with Chirps Chips after one of them experienced the delectable taste of fried caterpillars while studying abroad in Africa. 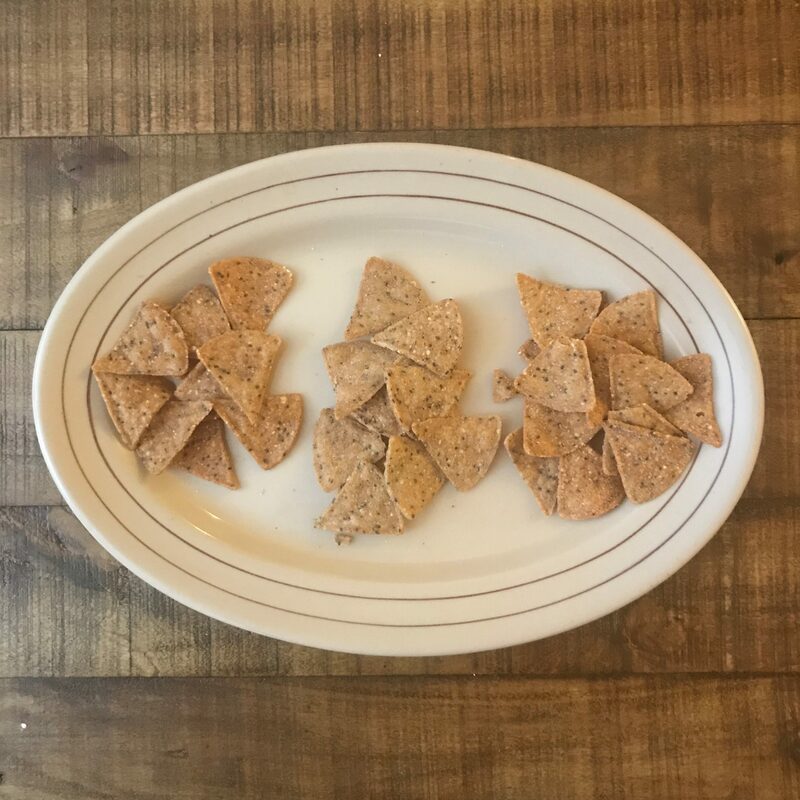 Trying to figure out how to get insects into American mouths, they eliminated the common complaints involving texture and form by putting ground crickets into a high protein tortilla chip. I ordered a sampler pack of three individually-portioned bags (35g), which include their three flagship flavors: sea salt, cheddar, and BBQ. The fit-friendly label touts the high protein content (5g a bag) and displays a brawny-armed tortilla chip. The blurb on the back cheerfully reminds me that eating insects is healthy and includes a few lines acknowledging their sustainability. Rebranding tortilla chips as a health food bothers me, and as relatively sustainable as raising insects may be to cattle ranching, plenty of controversy surrounds the way we grow corn. When I open up the sea salt, I’m surprised at the size of each specimen. We’re talking maybe half of a normal triangular chip . The first bite reveals a more complex flavor profile than I expected. It tastes more Dorito than Tostito, and there’s an earthiness in the back of my mouth that I assume comes from the cricket bits. Still, the plain sea salt chip feels like it should be a dip-able affair, but the small size of the chip precludes your favorite salsa from joining the party without a big mess on your fingers. Onto the cheddar. The added cheese and spices really turn things up. The cheddar flavor definitely stands on its own better than the sea salt. It’s also a little too salty and has almost fifty percent more sodium. The flavor of the cheddar is so strong, actually, that I can no longer taste the subtle complexities of the background ingredients (including the cricket). classic flavor that tastes noticeably less salty than the cheddar. Sure enough, the nutrition label reveals a significantly lower level of sodium than the previous bag. The flavor is balanced, and I can taste the funkiness of the cricket along with the BBQ spices. It looks like Chirps has found its Goldilocks zone. Affordable, kind of: Bought in a pack of six on Amazon, one 35g bag of chips will run you about $2.80. Pretty expensive for a little bag of chips, but it’s a filling portion (I just wanted half a bag for a snack), and bugs are still a niche enough food product for the typical American that Chirps is also selling the experience. Protein: One bag of Chirps contains 5g of protein, which comes out to 2.5x the amount of protein in a 35g bag of Doritos. That being said, Americans already have plenty of protein, and the fitness types trying to increase protein to build muscle aren’t going to turn to a bag of chips for a negligible 3g. While the high protein content helps differentiate Chirps from chips, I don’t buy the brand’s implication that eating chips with crickets is a healthy alternative to regular chips. Not all flavors are created equal: Different strokes for different folks, but just from a balance perspective the BBQ flavor by far made the superior product. The sea salt flavor lacks spice, and the cheddar needs to spend a week in the food lab and come out complementing the base flavor rather than overwhelming it. The crickets matter: Before I reviewed Chirps, I wondered if the crickets even added anything at all or if it was just a gimmick to sell me corn chips at a higher price. After all, the ingredients also include corn, beans, and pea flour, so I thought the flavor might be covered up. However, there is an earthy depth to Chirps that other chips lack, making it a product that should be seen as an addition to snack options rather than as a replacement. Considering the added ingredients, I don’t see Chirps as a healthy alternative to tortilla chips. Additionally, while eating insect protein is more sustainable than eating animal meat, eating chips with crickets is less sustainable than eating chips without crickets. 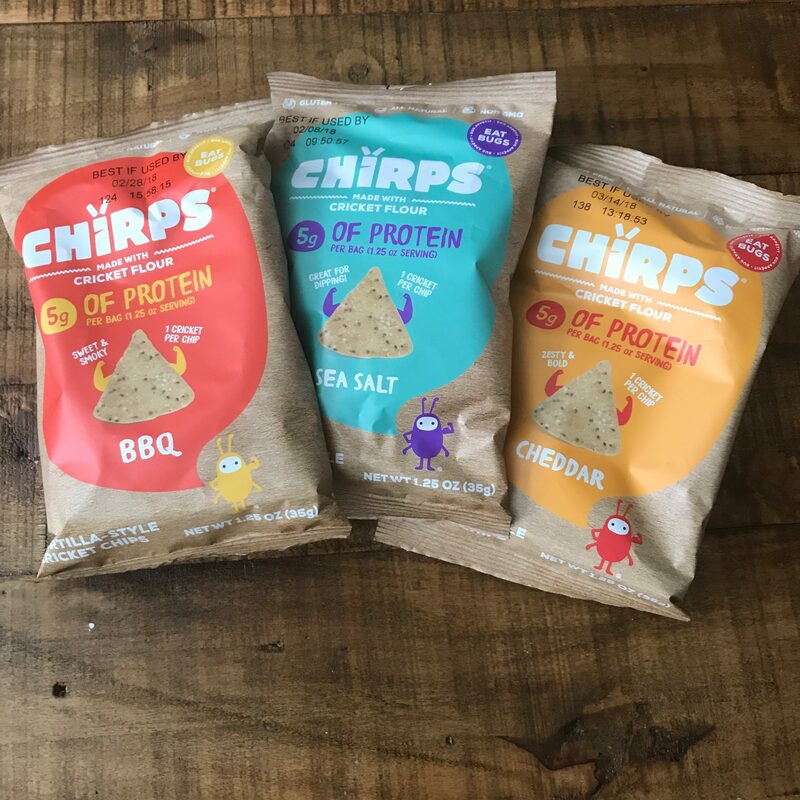 Marketing malarky aside, Chirps adds some fun variation to the snack industry, and if it helps bridge the gap between an insect-adverse population and a plateful of healthy, sustainable, six-legged bites, then the more power to them. While not healthy, Chirps is a pretty fun snack that helps introduce insects into the American diet. Any bug-eaters out there have an opinion on Chirps or know of any other tasty arthropod snacks? Leave your comments or rating below!